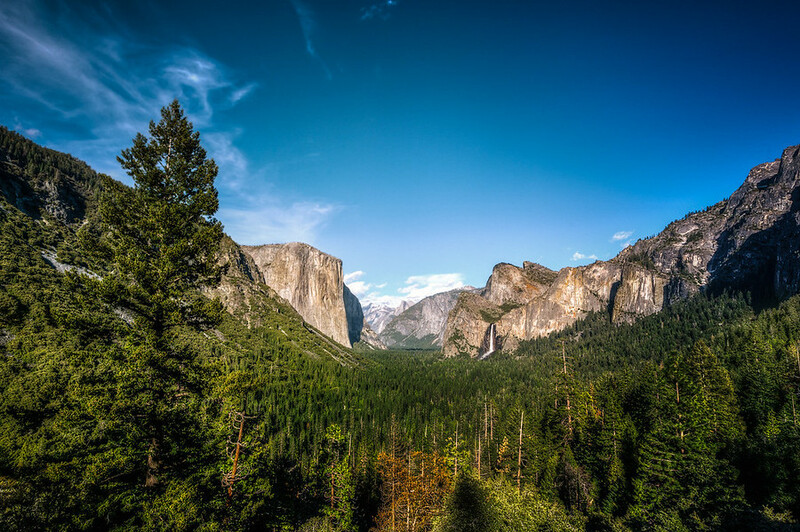 This HDR photo is taken from the view right as you enter Yosemite Valley. It's pretty breath taking in real life. There is so much scale and scope to this place you feel so small driving through it. Kind of like the Grand Canyon. I like this place better though. More stuff to do. I did my usual processing on this photo. It's a three exposure sequenced combined in Photomatix then only processed in Lightroom 4. Usually I'll bring my photos into Photoshop for a little extra color and touch up work that just can't be done in Lightroom, but in this case there was no need.